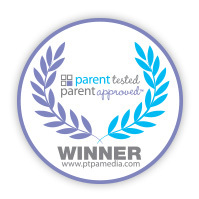 Surviving Infancy submitted its video guide to the Parent Tested Parent Approved (PTPA Media) awards program and was delighted to receive word the video has been honored with the prestigious group’s award. 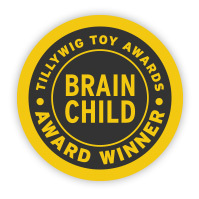 Surviving Infancy submitted its video guide to Tillywig Toy & Media Awards and was delighted to receive word the video has been honored with the group’s prestigious Tillywig Toy Award in the Brain Child award category. “As I watched Surviving Infancy, a thorough and enjoyable video that covers 36 topics essential to parenting children through their first few years, I was struck by how relevant the material is. And not just some of it. All of it. When my daughter was young, my wife and I encountered every concern and situation delved into in this video. I vividly recall the barrage of anxiety-producing occurrences that one little baby girl was able to send our way - inconsolable crying, problems breastfeeding, car and home safety issues, ear infections (oh, the ear infections! ), flips, falls, and head bangs when she was a toddler, emergency room visits. The list goes on. And at the time, in the thick of it, it seemed as though it would never end, the hard parts anyway. The beauty of this video, presented warmly and naturally by two female Emergency Medicine physicians and educators, is not just that it provides practical knowledge essential to increasing your child's safety, but that it also gives you, the parent, some much needed perspective. Knowing what to expect and having confidence in how to react takes a great deal of the anxiety out of parenting. And the good doctors are not wishy-washy. Much of the presentation deals with specifics - do this, don't do that - music to a parent's ears. The video is broken up into 36 practical segments that fly by while providing invaluable information." 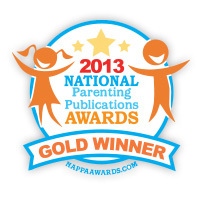 Surviving Infancy submitted its video guide to the National Parenting Publications Awards (NAPPA) program and was delighted to receive word the video has been honored with the group’s prestigious Gold Award in the Educational Tools for Parents and Children Category. “This is an amazing, comprehensive set of DVDs packed with great information from trusted authorities: two Emergency Medicine physicians. Expectant and new parents will welcome this resource." 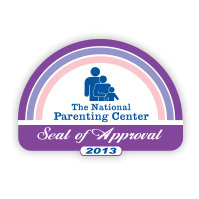 Surviving Infancy submitted its video guide to The National Parenting Center (TNPC) awards program and was delighted to receive word the video has been honored with the prestigious group’s award. "Parents were effusive in their praise for this 2 DVD set of essential advice and information for new parents. We need to state that even experienced parents, some with as many as four kids, told us that they wished they had the DVD's earlier but even now they found themselves learning new things. The DVD's last just over three hours and cover 36 critical topics for new parents. The hosts are two highly qualified Emergency Medicine physicians and their approach is even, straight forward and always helpful. Topics include safety, illness, emergencies, immunizations and the usual assortment of parenting challenges. The video segments are professionally produced and edited into concise lengths. Parents really appreciated the easy to navigate menus on the DVD so they can quickly jump to any topic. After watching this, parents told us that simple things like diaper rashes, gas, ear infections and common fevers are no longer terrifying or viewed as emergencies. There are clear direct demonstrations of what to do for your child when these things occur."